Warning: Graphic severed head pictures await at the bottom of this post. 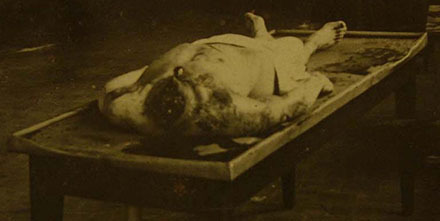 On this date in 1909, the guillotine returned France after an absence of more than three years. Abel Pollet had been a smuggler who put his native gift for leadership to good use organizing his fellow traffickers into a more lucratively violent line of work. Thanks, presumably, to the syndicate’s pre-existing professional aptitude for evasion, it persisted for years and authored a quantity of robberies and murders that authorities could only guess at. (The official homicide estimation ran north of 50.) It was a spree so atrocious that it helped force the end of the whole death penalty moratorium since sentiment was so strong against the Hazebrouck gang . Incited by the many depredations and perhaps starved from years without the bloody spectacle of public execution, a vast concourse of 30,000 mobbed the guillotine at Bethune. Undeterred by the steady winter’s drizzle, they would wait all the night through, their numbers continually augmented as road-trippers arrived by train. At four in the morning the dread traveling executioner Anton Diebler, who had already plied this trade for a generation and more and would continue in the role for another 30 years, arrived with four assistants to set up the guillotine. It was only with difficulty that police restrained the pawing mob. By half-past five the public prosecutor officially informed the condemned men what they surely already knew — that there would be no mercy. The crowd on the square would have its prey. As the first robber, Theophile Deroo, emerged at 7:25 a.m., “there was a painful silence, and then an outbreak of hoots and curses from the crowd.” A wilting Deroo had to be hustled to the board amid the jeers. “A mort! A mort!” came the howls. People are ghoulish. Far be it from us to deny them. 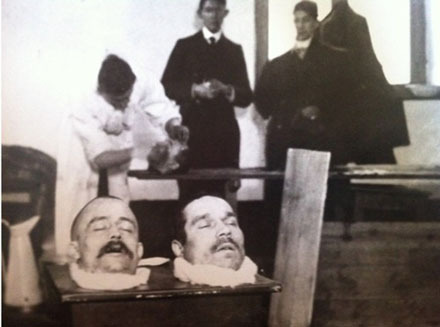 Top: the heads of the Pollet brothers. Middle: The heads of their two accomplices. 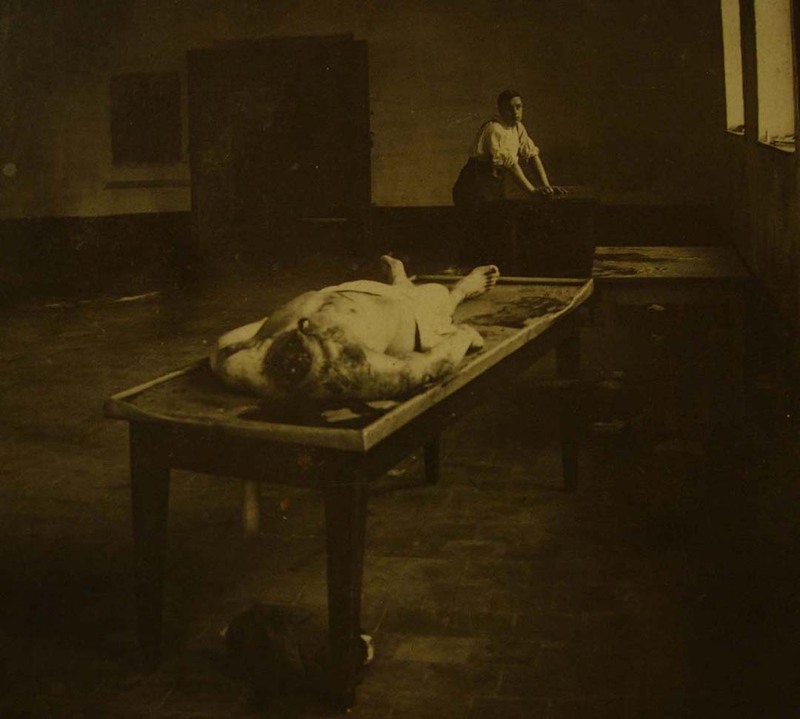 Bottom: Canut Vromant’s headless trunk awaits autopsy. All images from the invaluable Bois de Justice, via this goregrish forum. 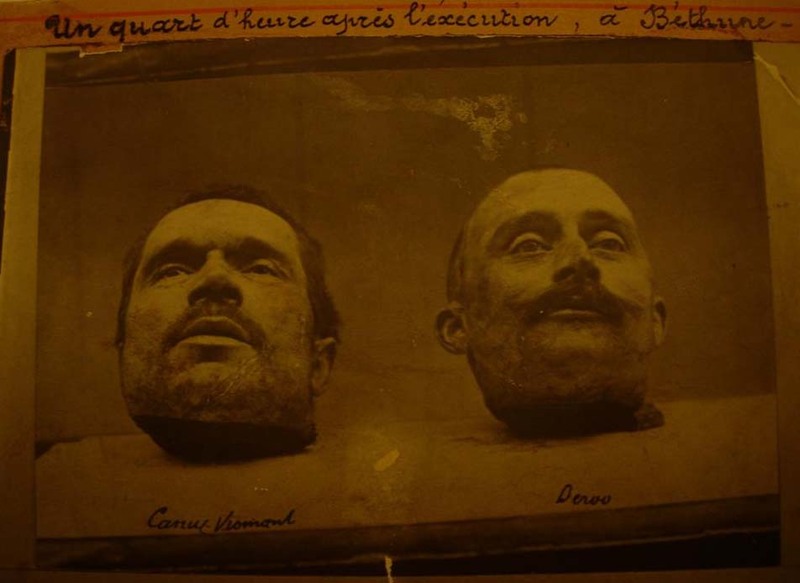 Perhaps, dear reader, you find the public exhibition of these severed heads objectionable. If so, you have an ally in the French state that did the severing. For years, French elites had been fretting the indecorous behavior of the crowd at what was supposed to be a solemn occasion. The advent of photography only made matters worse, for now the discomfiting head-chopping exercise could be shared with those indisposed to sitting up all night smoking pipes in trees. But as the moratorium gave way, the rising media form of cinema promised even more debased exhibitions. Enterprising cinematographers were already staging execution re-creations; now there was the prospect for film audiences to be incited to countless bloodlust frenzies by on-the-scene deathporn footage of hated criminals going under the blade. 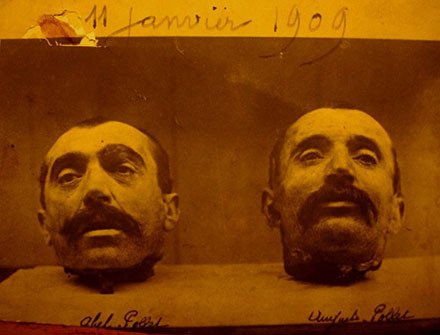 It was in response to just this fear that France a bit later in 1909 promulgated (French link) its first film censorship rules — forbidding in this case the public display of film liable to disturb the public tranquility.